As everyone knows, this is the time of the year when all the really big aviation news spews forth in record doses. 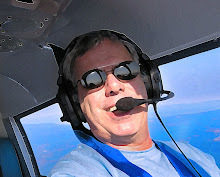 As a blogger/journalist, I will attempt to keep up with it during EAA Airventure 2007 while still working my day job. But this year, so much big news will be coming out of Wisconsin, it may be that before you can even read this post, an even hotter one will be posted. Right out of the gate, Cessna knocks the Light Sport crowd on their ear by introducing their LSA entry, which now has a name, a price, and a sales team. Called the Model 162 SkyCatcher, the $109,500 beauty will redefine the LSA market, and will draw many new airplane buyers and flight students to our community. The 162 will be equipped to meet both day and night VFR flight requirements. A single Garmin G300 display will provide primary flight and engine information in a split screen format. A Garmin SL40 Com radio, Garmin GTX327 Mode C transponder, and a 121.5 Mhz ELT will be standard equipment. 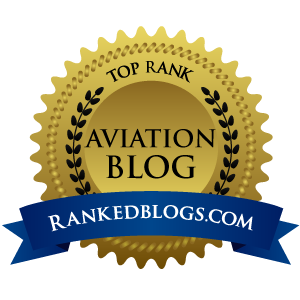 When you look at the Cessna photo in this post – which by the way shows a pair of G300 MFDs – it is hard not to imagine that same panel slipping comfortably into about a million older GA airframes that now fly behind steam gauges. 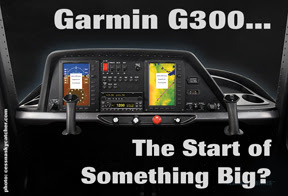 With their proven innovation, Garmin has easily positioned themselves as the leader in GA avionics, and the G300 could be the start of something big. That has to mean Garmin may be able to develop the G300 into a nice, clean certified IFR retrofit for somewhere in the $25,000 range. If they made it a full panel swap-out and even went so far as to develop a complete panel and G300 package, it would sell like crazy. Your avionics shop just yanks out the entire old panel, removes the rotten old wiring harness, and screws the pre-assembled G300 panel into place. Installing completely assembled dashboards is how all the car manufacturers do it now, so is it crazy to think that Garmin might soon be able to develop a panel swap kit for damn near anything? Who would want to spend north of $14K on a G530 to drive a bunch of tired steam gauges when you can double that amount and come away with a fully glass panel? There is much more on the Skycatcher here, along with a downloadable brochure and specs. And if you've got five grand to plunk down for a deposit – and can scrape together another $104,500 or so – pull down the sales packet here and go to town. If you don't need to go fast, fly IFR or carry more then that one certain special someone, and want a brand new, drop-dead gorgeous airplane to seek out the elusive $100 hamburger, the Skycatcher may be your new airplane.